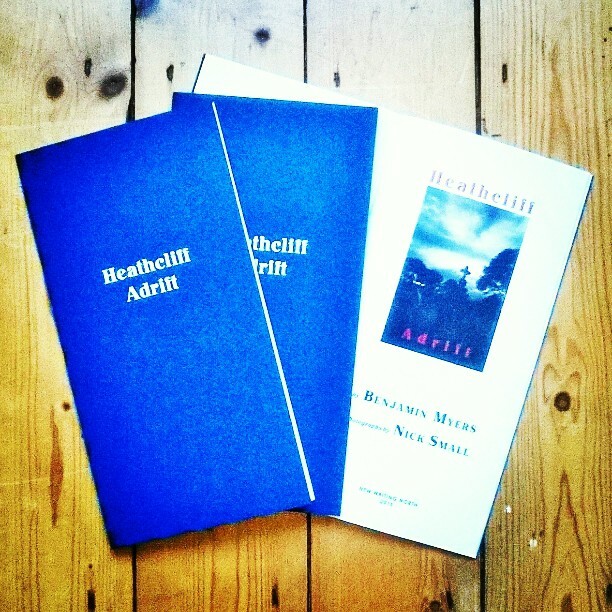 The first print run of Heathcliff Adrift has now SOLD OUT. Thank you to everyone who purchased it. A second print run is now available to buy from the New Writing North online store or as signed copies from The Bronte Parsonage where the poems are currently exhibiting. The book is a limited bespoke print run by Michael Curran of Tangerine Press. It includes 32 hand-sewn pages and features recycled cairn stiff card covers and Heritage Book White acid-free text paper, a silver foil-stamped front cover on marine blue card and also features a black and white photo by Nick Small. Also: one poem from the collection, ‘On Approaching Pendle Hill’ will appear in this week’s New Statesman.